Editor’s note: School News Network today welcomes Grand Rapids Community College to our ongoing coverage of education in our region. We will be following GRCC’s continuing contributions to student learning, career readiness and workforce development. These include its early college partnerships with school districts including Cedar Springs, Godwin Heights, Godfrey-Lee, Grand Rapids Public Schools and Wyoming, and its Ready to Launch program open to all students in Kent ISD. And with working adults making up a large percentage of GRCC’s student body, we’ll explore those issues as well. Look under the Districts A-G section of our tool bar for stories on GRCC’s innovations and its ongoing relationships with our K-12 schools. 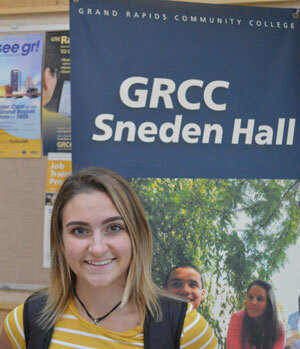 Welcome aboard GRCC, and thank you for your support! Outside Grand Rapids Community College’s Sneden Hall before her morning “Principles of Economics” class, Lauren Kramer reflected on ways she’s benefiting from being both a Wyoming High School and GRCC student through the Wyoming Middle College. They include a transcript already stacked with 30 GRCC credits; free tuition, books and materials; experience with college courses and expectations; and the discovery of a program she’s highly interested in: culinary arts. 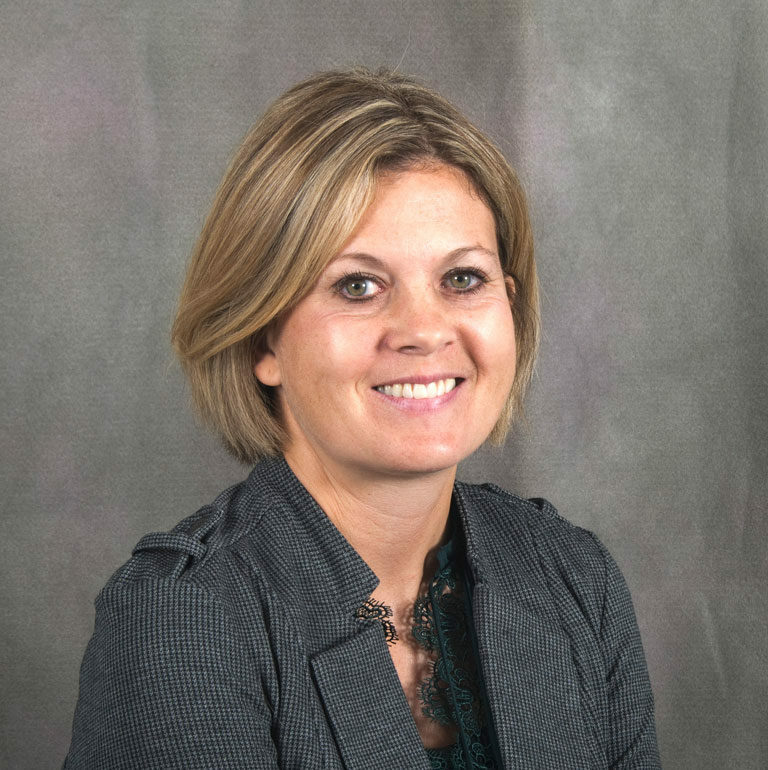 The accomplished student, who started the Middle College as a Wyoming High School sophomore, said she’s making a smooth transition from high school classroom to college lecture hall. Though she’s now attending classes full-time at GRCC, Lauren is considered a fifth-year high school student. Still, she’s halfway through requirements for an associate degree. She’s enjoying the bustle of city life as she spends her days on campus. “It’s really great being downtown and the classes are fantastic,” she said. Wyoming Middle College, which started in 2012, was the first partnership for GRCC of its kind. It works like this: Students start in 10th grade taking college courses taught by GRCC faculty members at Wyoming High School. They take on a fifth year (also referred to as a 13th year in K-12) as a Wyoming student, but it’s spent entirely at GRCC. The cost is paid for through the per-pupil foundation allowance from the state. Upon completion, students graduate with a high school diploma and a GRCC associate degree. “It’s the best thing going,” said high school Principal Nate Robrahn, who this year expanded the cohort of sophomores starting Middle College from 50 to 65. About 150 students have graduated the program since it started. 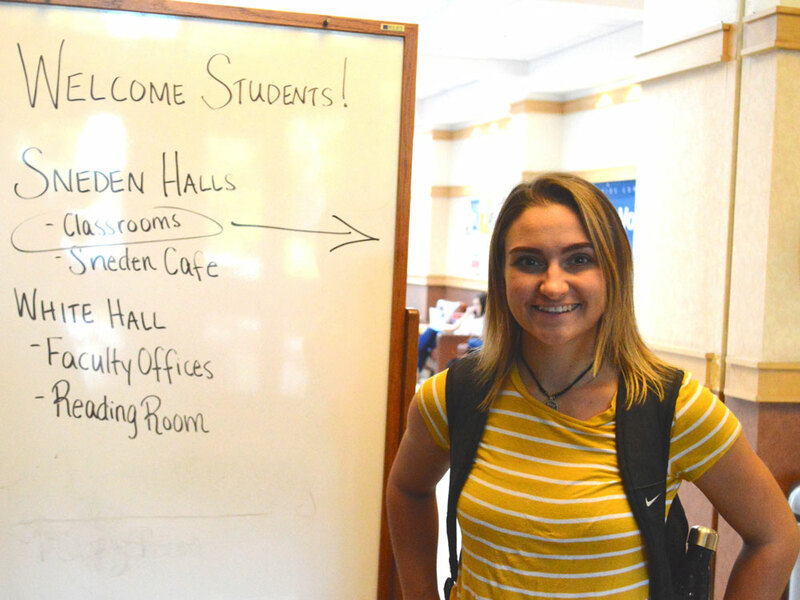 Students take one college class along with high school classes each semester sophomore year; two classes per semester junior year; and three per semester senior year. It’s a full schedule of college classes for the fifth year at GRCC. Because of that experience, Lauren’s already used to the expectations, rigor and freedom of college. She knows what a syllabus is and how to follow it. She plans to tackle 15 credits each semester, which means she will be a junior at the end of the school year, a full year ahead of many of her peers. Many of her general education classes are finished, and she has mostly electives left that align with her interests. GRCC has also established middle colleges at Cedar Springs and Ottawa Hills, and East Kentwood High School launched one this fall. Also through GRCC, Ottawa Area ISD offers a certification program at Careerline Tech Center and Kent ISD offers Launch U, where students earn an associate degree in mechanical design. Dan Clark, GRCC dean of Academic Outreach, said about 500 students are involved in the middle college opportunities and interest is growing statewide. “We have more and more families that continue to say, ‘We want to do it,’” added Robrahn. Along with getting associate degrees before moving on to four-year institutions, he sees his students are earning certifications and discovering what’s possible on the GRCC campus. Clark said GRCC offers extensive student support all the way through programs. Students regularly meet with college advisers and success coaches. According to a study by National Center for Restructuring Education, School and Teaching, of 20 pilot schools with middle college programs followed over six years in Michigan, 997 students in 2016-2017 finished their 13th year with an average GPA of 2.94 and earned an average of 52 college credits. More than 11,000 Michigan students are in middle college programs. The most obvious benefit is cost savings, Clark said. At a minimum, students are saving the $114 per credit hour in 2018-2019 basic tuition rates at GRCC, plus the cost of books, fees and other materials. Lauren said it would have cost at least $40,000, including room and board, had she enrolled directly into a four-year university and paid full tuition to tally up the number of credits she has earned from GRCC. All she has to pay for through the end of this school year is parking and food. Lauren excitedly talks about her “fantastic” Culinary Art and Design class, where she’s learning from renowned chefs and instructors to decorate and design pastries. She said enrolling in GRCC’s Secchia Institute for Culinary Education might be her next step. 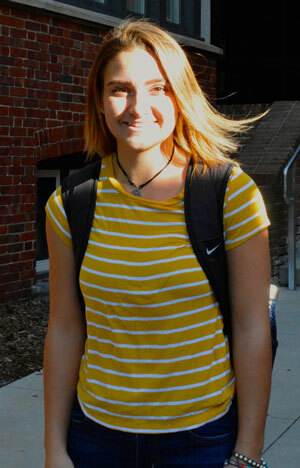 Lauren was unsure if she wanted to join Wyoming Middle College when she was a 10th-grader. It meant giving up her freshman year living in a dorm, marching in a university band and having “the basic college experience.” She also didn’t have many classes in high school with friends who aren’t in the program and missed out on some great high school teachers. But she’s found other ways to branch out and enjoy her passions, like traveling and performing all summer as a color guard member with the Legends Drum and Bugle Corps. Excellent article!! !It just shows how being prepared for college is so important. Also that there are many routes to a successful career.